We are a leading Service Provider of sugar mill machinery repairing service and pcb repair from Chennai, India. Sugar Mill Machinery Repair and Annual Maintenance contact Service . We represent many manufacturers of Sugar Mill Machinery. We are proud to have earned the distinction of being a Indian Representative/ Factory Authorized Repair Centre and warranty management. 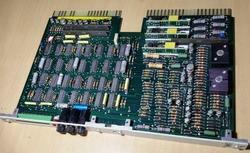 We specialize in PCB repair , PCB layout or modification, Intrinsically safe design of electronic cards, signal integrity analysis,we advise you with a root cause analysis report and provide suggestions and pcb reverse engineering services.